“I've spent half my life here and had the privilege of serving as CEO for the past 12 years,” said Francisco D’Souza, Cognizant Vice Chairman and Chief Executive Officer. 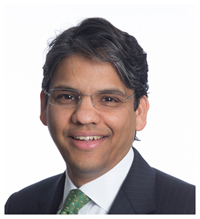 “There are many things that could strike you about Francisco D’Souza, 50, who in April will conclude a twelve-and-a-half-year tenure as chief executive officer (CEO) of Cognizant Technology Solutions. But at first sight in 2006, D’Souza evoked the visage of boy wonder Robin without the superhero mask. He was 37 years old, when Lakshmi Narayanan passed on the CEO reins to him. And who were D’Souza’s CEO contemporaries in Indian information technology (IT) at the time? Subramaniam Ramadorai, 60, at Tata Consultancy Services (TCS). Nandan Nilekani, 51, at Infosys. The most conspicuous market change that D’Souza’s Cognizant demonstrated was overtaking Wipro (in 2011-12) and Infosys (2014-15), each of which had breached the billion-dollar mark before it. Between 2008 and 2016, Cognizant built a consulting practice to enhance its prowess to win large transformational deals. He took that story to investors in 2010, continuing to justify the lower operating margins expectation. By 2014, D’Souza was personally spending time on Cognizant’s Emerging Business Accelerator that was honing its mindset for the digitalised IT industry, where deals sizes would come down as enterprises wanted more bang for the technology buck. Cognizant had to target the innovation budgets of an enterprise.